The kids are safely tucked up in bed, you’ve settled into the warm cosy couch and you’re ready for your favourite TV show, when you’re hit with a craving for something sweet. 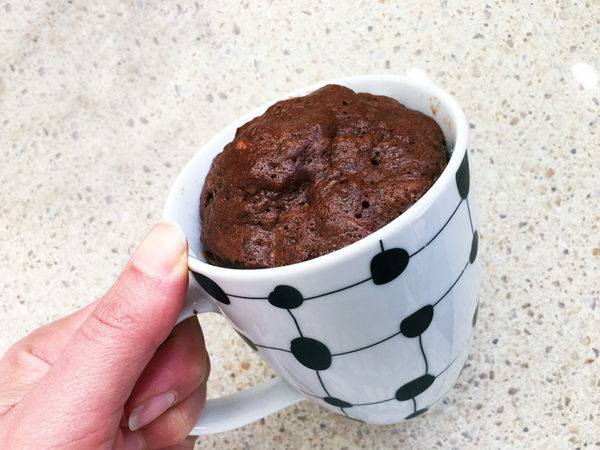 Don’t despair, this quick microwave mug cake recipe is excellent for knocking that craving on the head! First and foremost, find a big mug suitable for the microwave. Nothing will dampen this quick recipe like having to clean the microwave of cake mess otherwise. 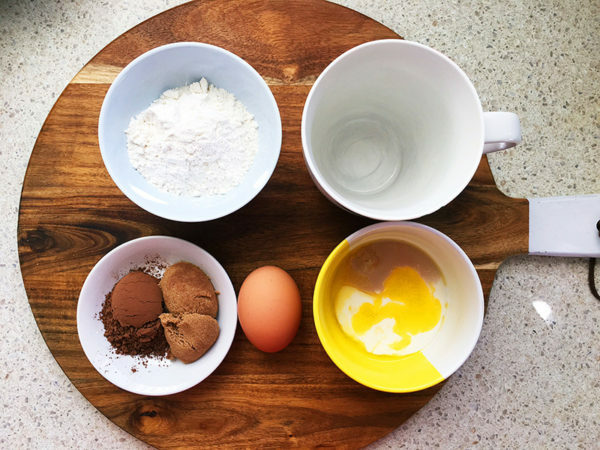 This recipe makes one large serve mug cake. 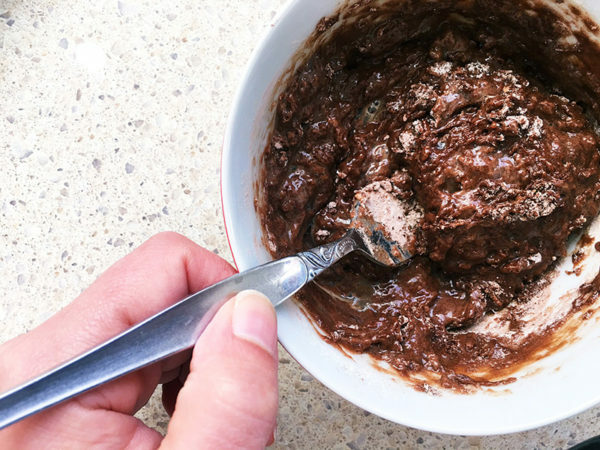 In a small bowl, sift together the flour, cocoa powder and salt. 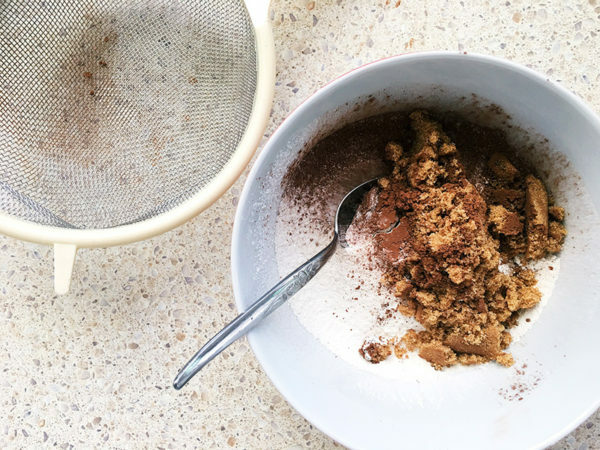 Stir the brown sugar into the mix. 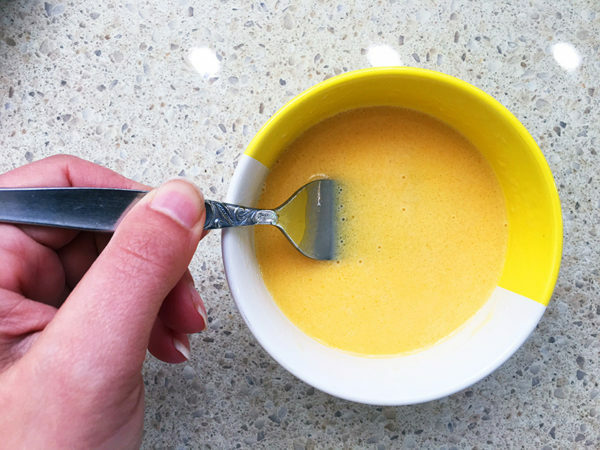 In another small bowl, whisk with a fork the egg, milk, butter and vanilla. Add the milk mixture to the dry flour mixture and stir with a fork until it just comes together. 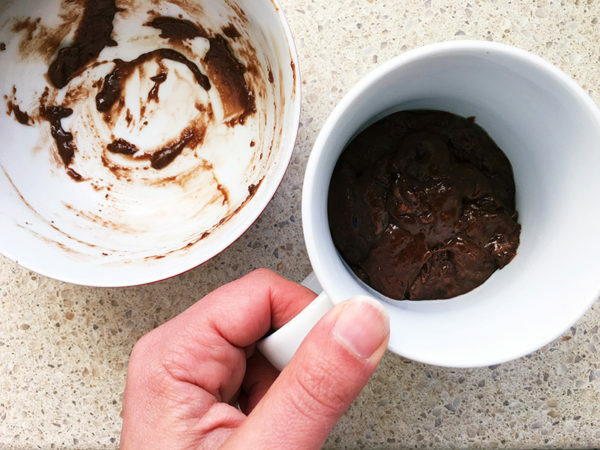 Spoon the cake mixture into the large mug. Place the mug in the microwave and cook it on the high setting for one and a half minutes. Keep an eye on it as it may take less time, depending on your microwave power. Cook until it has risen and is set on the top surface. How you want to dress it up is entirely up to you – it’s delicious toasty warm in its natural state. 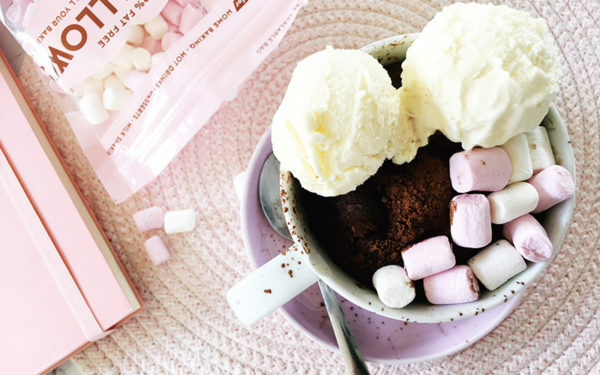 Alternatively, dust with a little extra cocoa, toss a few marshmallows on that warm spongy surface and top with a scoop (or two) of ice cream. Sugar craving met!